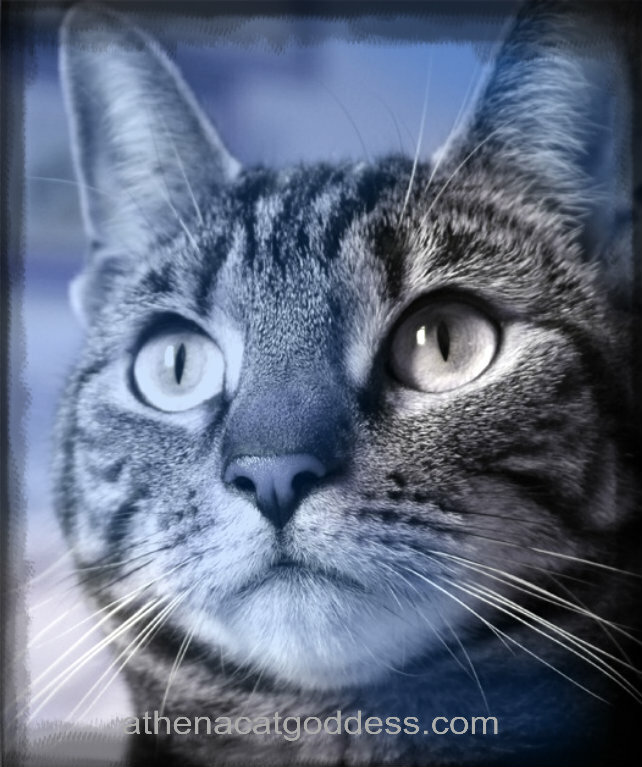 This cat photo art was created using PiZap. Very pretty Athena, but you always are. Yous is a study in blue too! Mes must say, Yous looks marvelous darling! Very creative, simple and beautiful ! Very lovely! Hope you have a great Caturday! That is truly a stunning portrait! Athena you are always so gorgeous! Hi! I'm visiting from the Feline Art Party Linking....what a gorgeous kitty. I love cats. Such a purrrecious image. Look at those eyes. Hi, thank you for visiting! Happy Caturday to you, too. This is really our first time participating in the art hop! Love that picture. Looks mostly blue but with real color in one or two places. What a cool effect on a purrty ladycat!